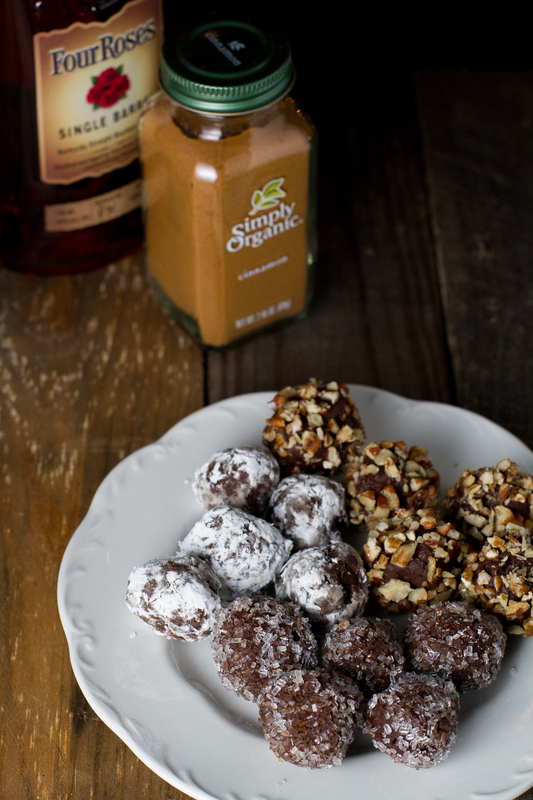 These Chocolate Cinnamon Bourbon Truffles are bittersweet with a touch of heat and oh-so-addictive! Special thanks to The Baddish Group for sending me a bottle of Four Roses Bourbon and Frontier Spices to use in developing this recipe. While this is a sponsored post, all opinions remain my own. 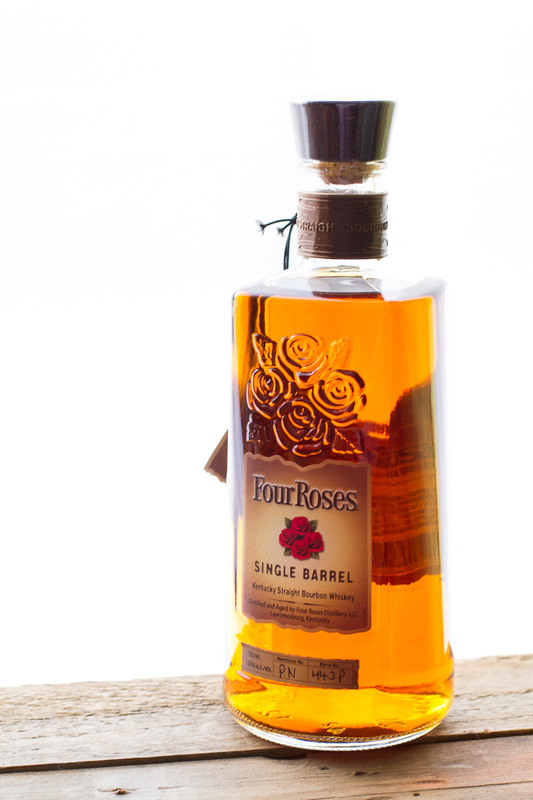 ‘Tis the season for homemade gifts! Every year since I was in my mid-teens, I’ve spent hours and hours baking up a storm of cookies. Sometimes with my mom, sometimes with my sister, always to produce a cookie array that has come to be expected by our family. That’s fine and well–we all love the Chipper Champs and Butterballs, for sure–but this year, it’s time to change it up! Sure, you could go to the fancy chocolatier and purchase your holiday truffles, and they’d probably be okay. But if you make them yourself, you’ll know without a doubt that the highest quality ingredients went into them, and they’ll be completely under your control. Who wants a plain-Jane chocolate truffle when she can have a Chocolate Cinnamon Bourbon Truffle? Not me! The better your chocolate, the better these will taste. 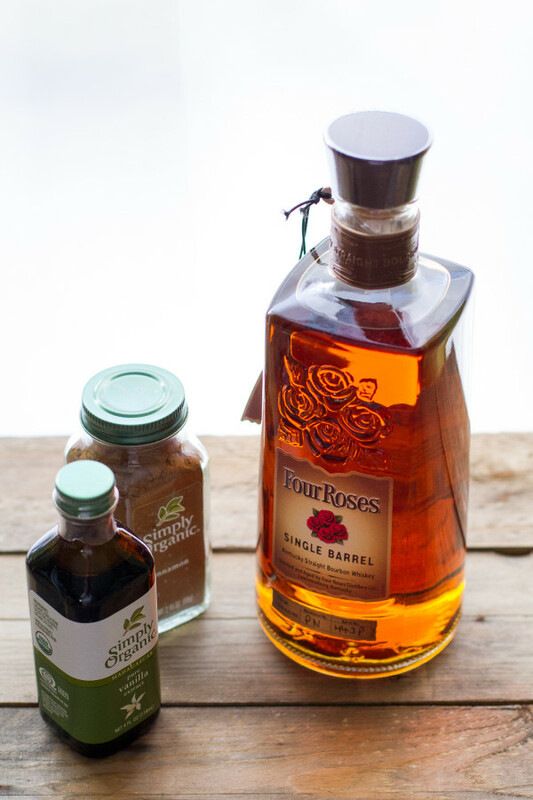 With so few ingredients, you can’t doctor up a sub-par product, even with the superb flavors of Four Roses bourbon, Frontier Spice cinnamon, and cayenne, so choose wisely. I just love this combination of flavors working together to create a truly amazing truffle. I’m not sure I can part with them… You don’t have to, if you don’t want to. It’s okay. You earned it. In a small saucepan over medium heat, warm the cream until it begins to bubble around the edges. Pour the chocolate into a medium mixing bowl and pour over it the heated cream. Let it sit for 4 minutes. Add the bourbon, cinnamon, and cayenne pepper and stir until smooth. Cover and refrigerate for 2 hours, or until firm. 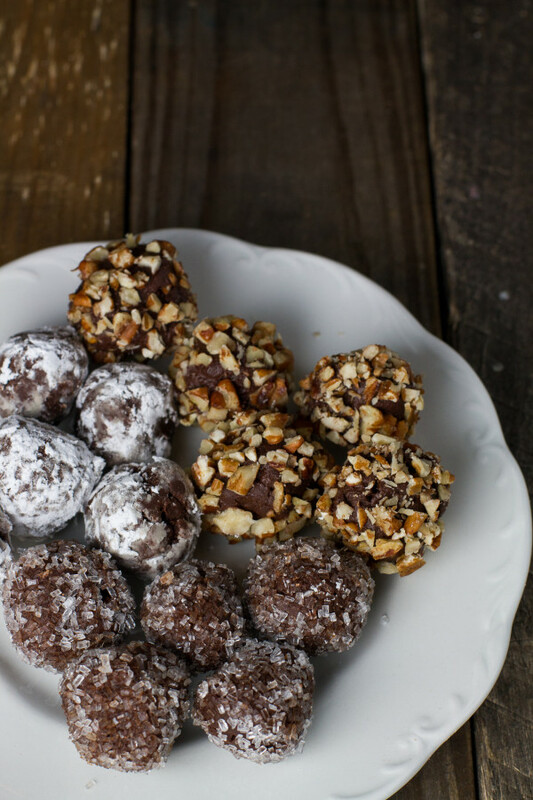 Set out small bowls with confectioner's sugar, sparkling sugar, and/or chopped pecans for coating the truffles. Using a #60 cookie scoop, scoop out the ganache into clean hands and roll them quickly into balls. Roll in the desired coating and set on a plate. Once all the truffles have been coated, return them to the refrigerator for 30 minutes before serving. Store in the refrigerator; they should keep for up to 2 weeks. The cayenne kick gets stronger after the truffles have sat for a while; don't be fooled by the initial taste test when you first mix the ingredients together, or you may add too much of a cayenne punch. 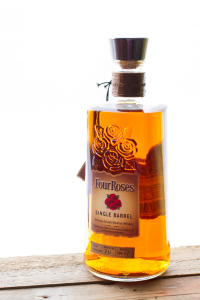 Bourbon? Cayenne? Now I’m curious about this recipe!